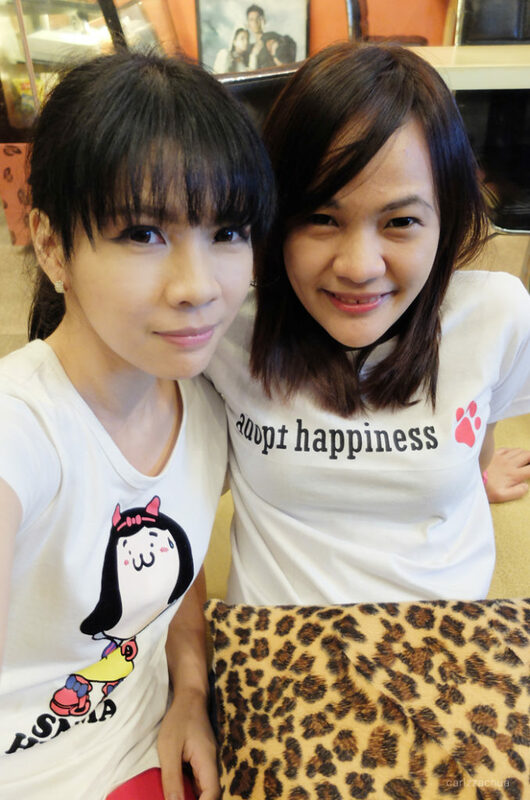 I am becoming more and more feline this year and the cat lady in me said that I had to celebrate with cats. 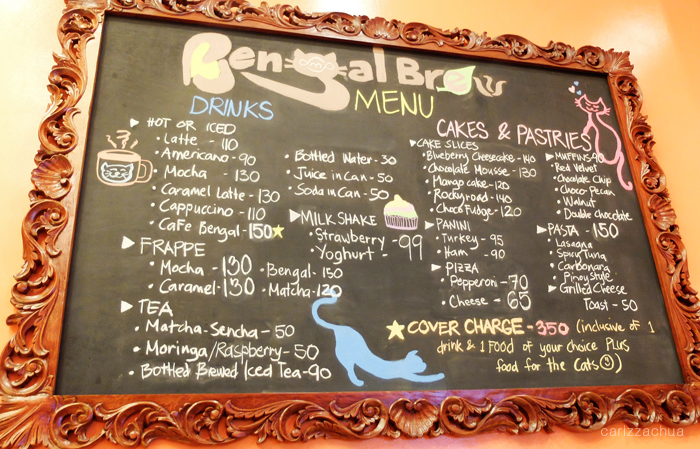 So we went to Bengal Brew cat cafe few week ago for 1/3 of my birthday celebration! 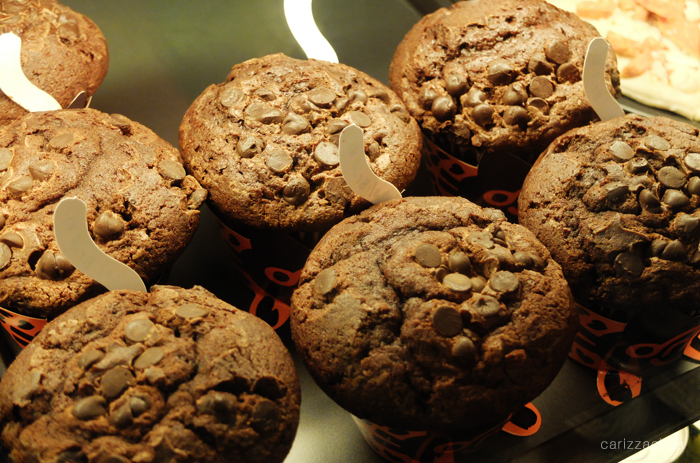 The cafe serves hot and iced drinks as well as cupcakes, cakes, pasta and pizza. 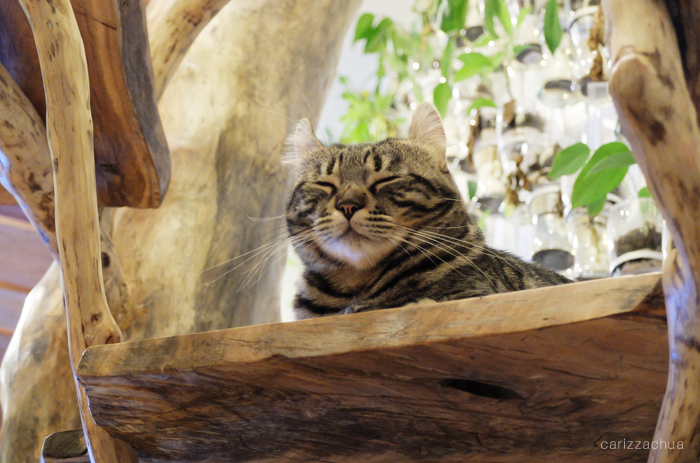 You may eat in the cafe area or ask the staff to bring your food inside where the cats are. 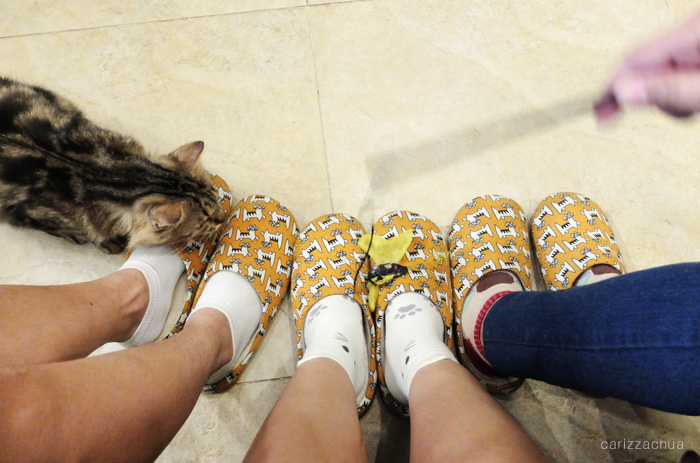 Before entering the cat area, you will be required to wear their cute cat slippers. Their themed interior and facilities are quite impressive! No wonder why the cats here love roaming around. 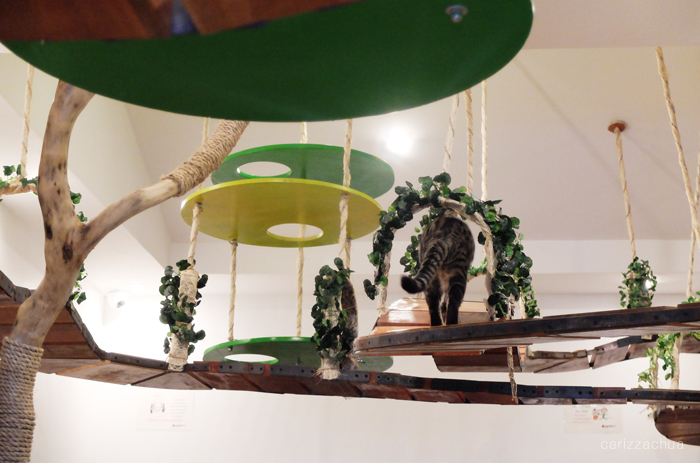 The cafe is complete with cat needs, beddings and toys. They have a spacious cattery at the back too. 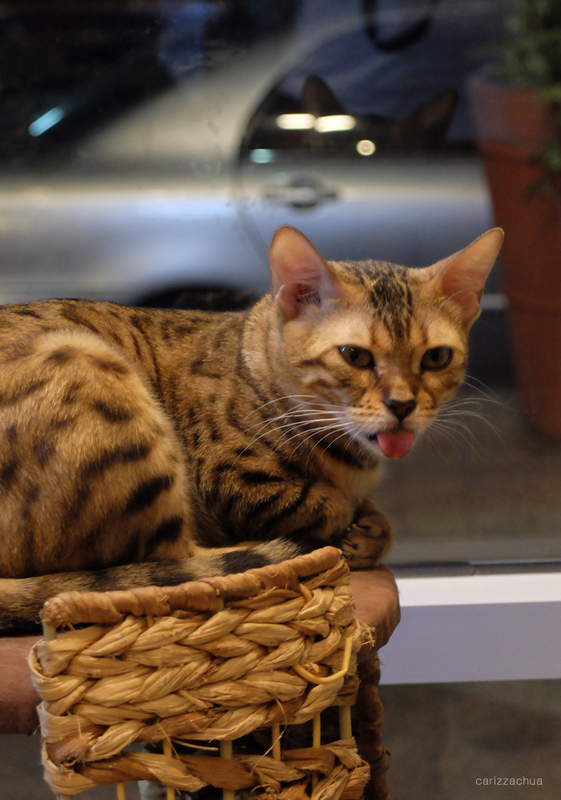 Bengal cats are character felines with distinctive coats and patterns. Aren’t they suppose to be wild and free? Well, for me, they better stay with a ‘slave’ than roam in the wild. It’s a cruel world out there. 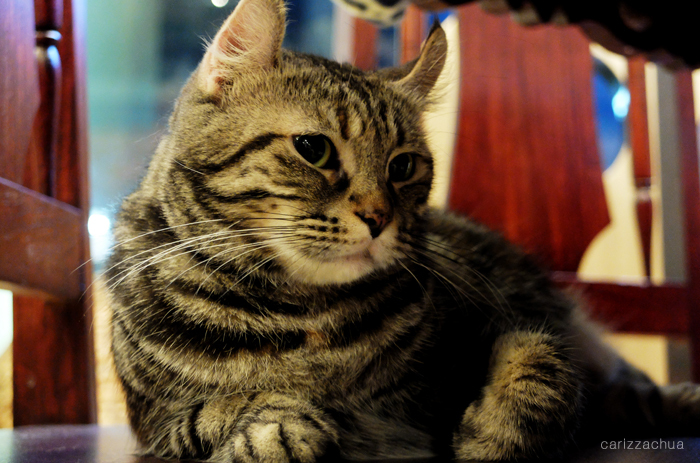 Bengal cats might not be as sweet as the other breeds but they are also domestic cats. 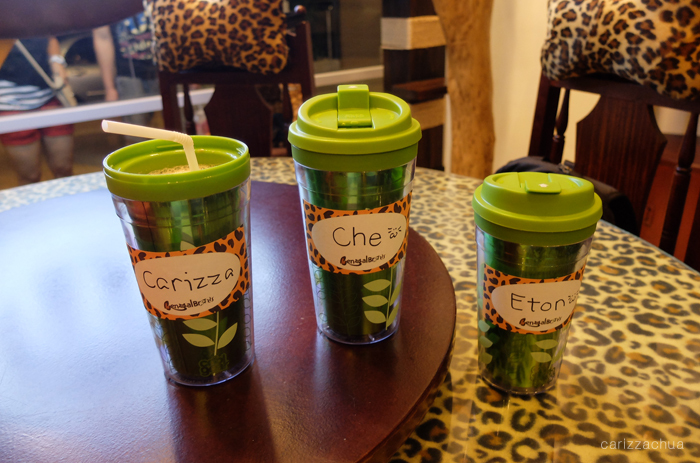 They serve drinks in tumblers and I like the idea to avoid spilling and contamination. 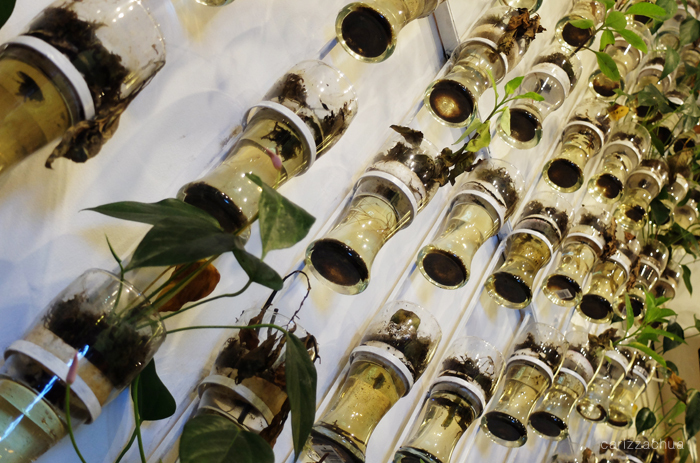 Saves plastics too! In my opinion, the Bengal Frappe like like a mix of raspberry and chocolate but too sweet, Caramel Frappe is good and I certainly recommend Matcha Frappe! 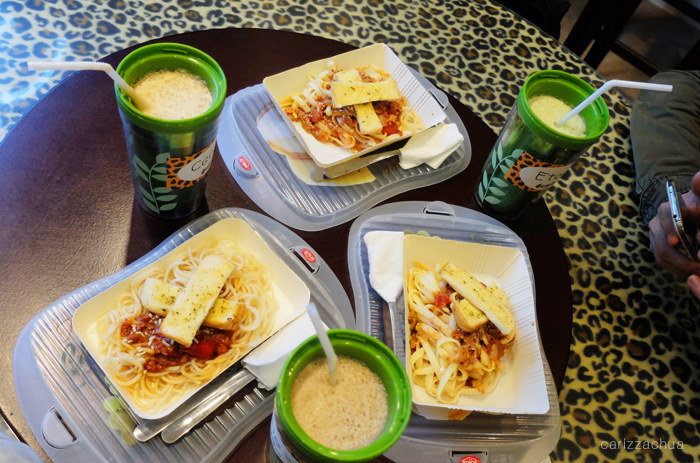 For the food, we ordered Pinoy Style Pasta. 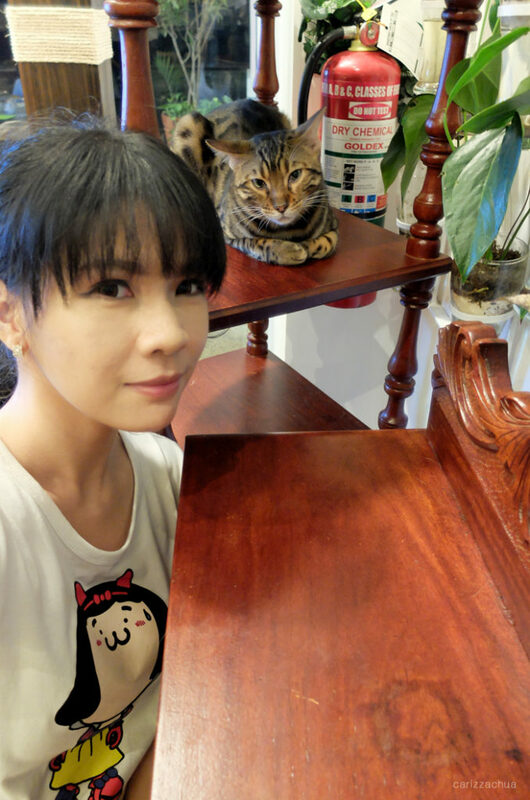 It’s nice to know that they serve their food with plastic covers so that the cats won’t be able to outsmart the humans while they are busy selfie-ing with the other cats. Haha! 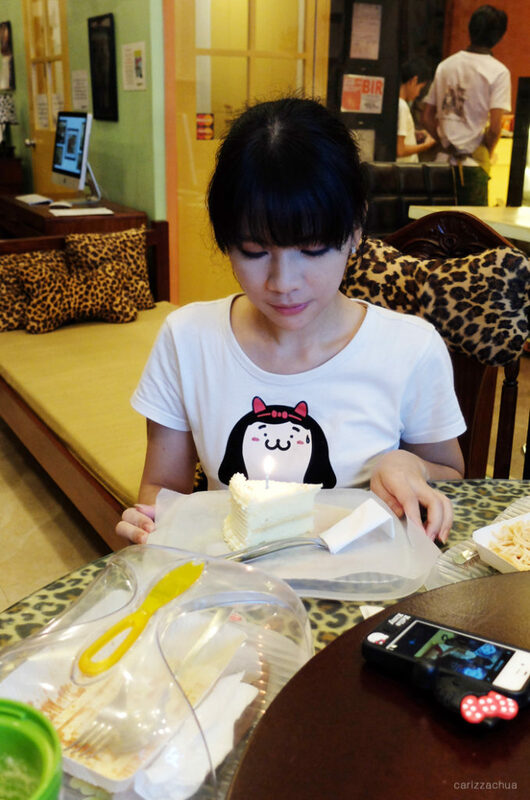 During meal, sister bought a slice of cake for me! Yay! 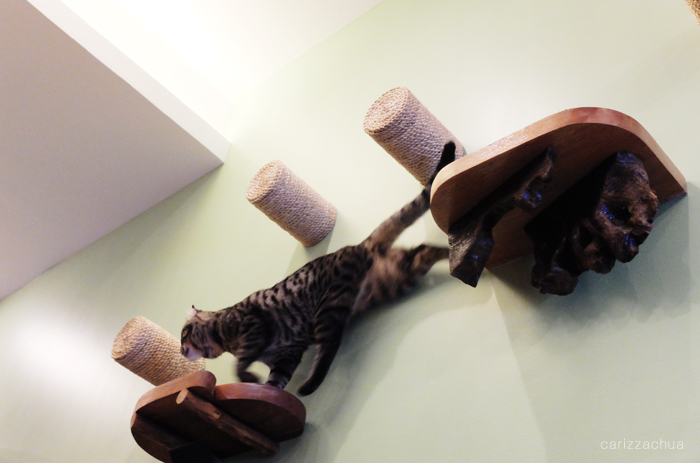 Bengal cats look a bit aloof but they love to climb and play. 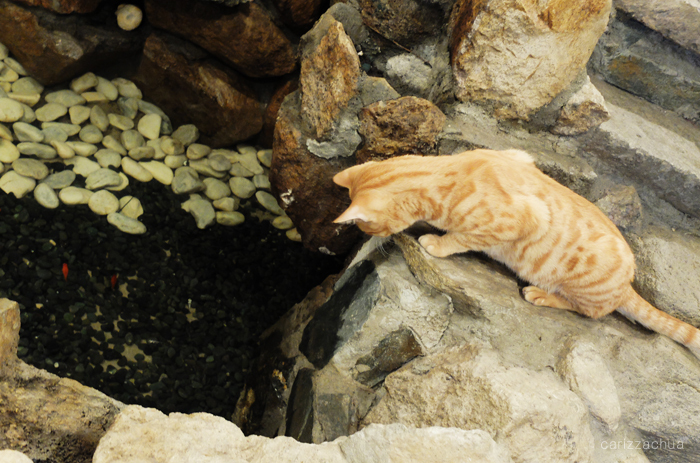 Guests could also climb up the rocky waterfalls/pond area and feed them with raw chicken! This place is really nice! 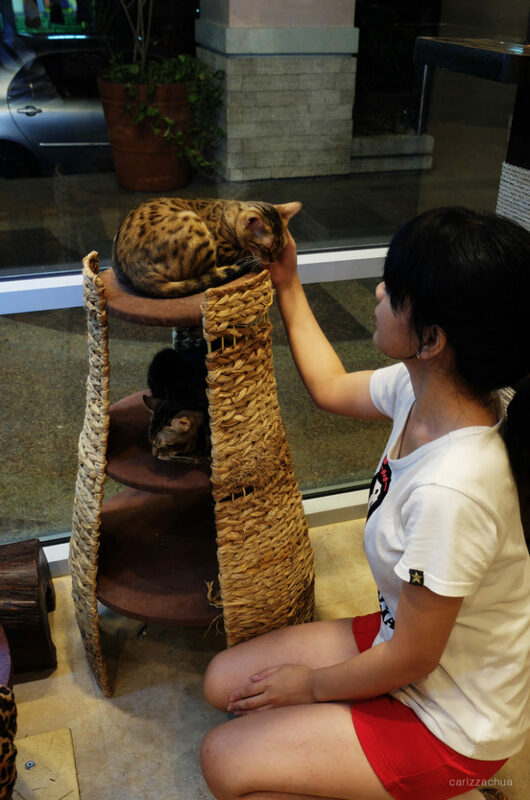 You get to learn a lot about the behavior of Bengal cats, interact with them, play with them, however, it would have been perfect if Bengal Cafe could also help homeless cats here in the Philippines. 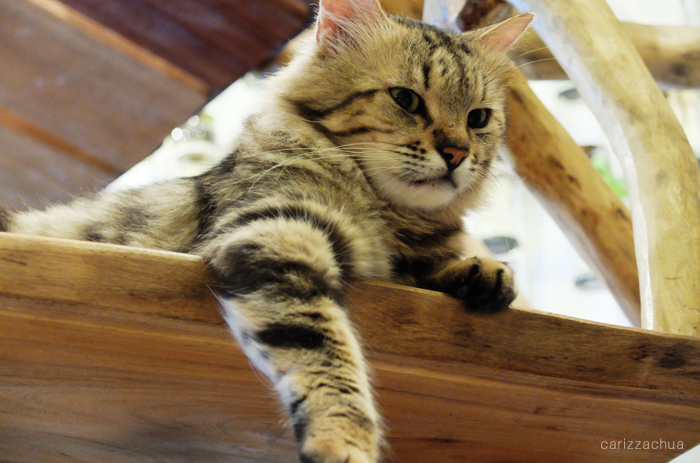 With so many abandoned puspins here in the country, showing off purebred cats only motivates people to BUY when in fact, ADOPTION is the best option. 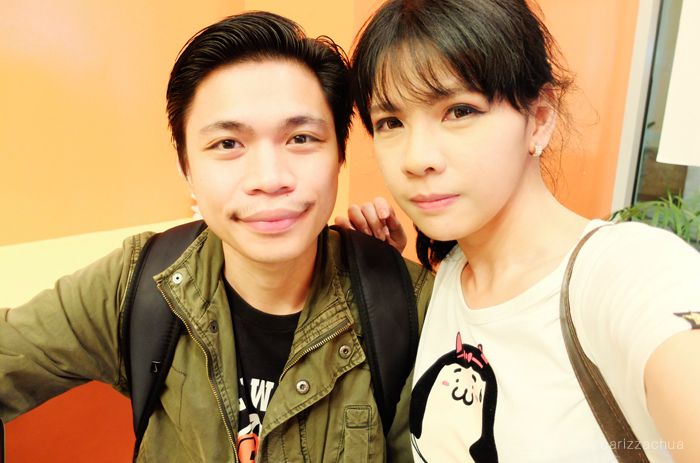 Will I go back here at Bengal Brew? Definitely. It’s just a walking distance from our home and if I need to take a break, I’d probably choose to stay here rather than in Starbucks. 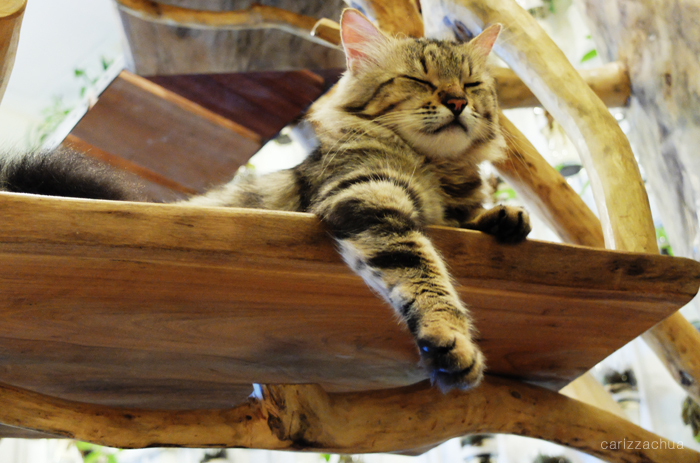 It’s a good place to relax and unwind with cats. It’s also a good place for those who likes cats but doesn’t feel responsible enough yet to take care of one. 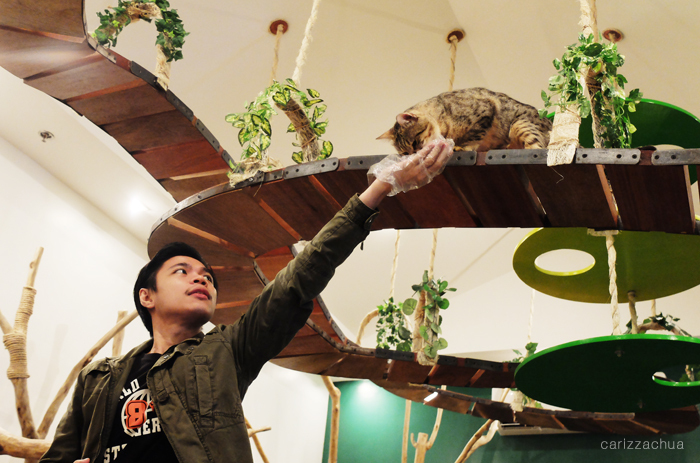 Of course, I’ll also support the other cat cafes especially those who have puspins for adoption with them such as Cat Cafe Manila and Uchi No Neko. 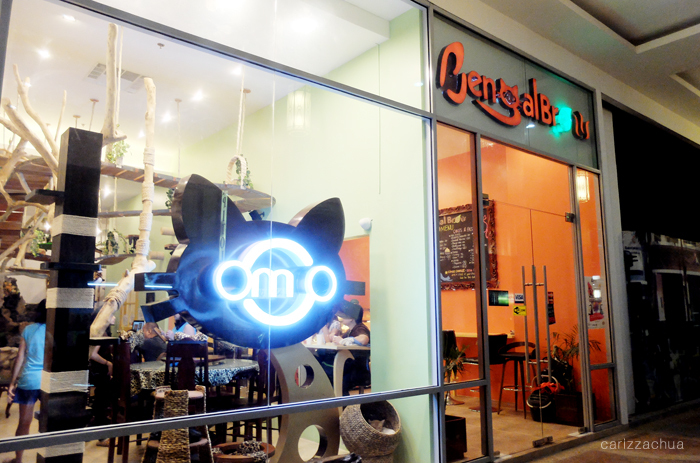 Bengal Brew is located at Manhattan Parkview, Cubao Quezon City. Open from 12nn to 8pm. 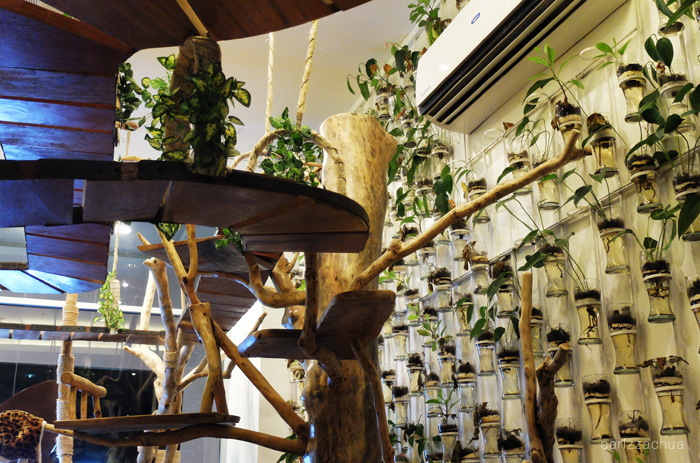 Entrance fee is Php 350 (as of October 10, 2015), inclusive of 1 drink and 1 food of your choice plus food for the cats! the new Manhattan bldg. near Yale. Are they friendly cats? the store crew was very generous when they gave you another piece of cake when they found out that its your birthday. I think masasarap ang mga foods nila. P.S. Natakam ako sa cupcakes. Sana someday makapasyal din ako diyan! 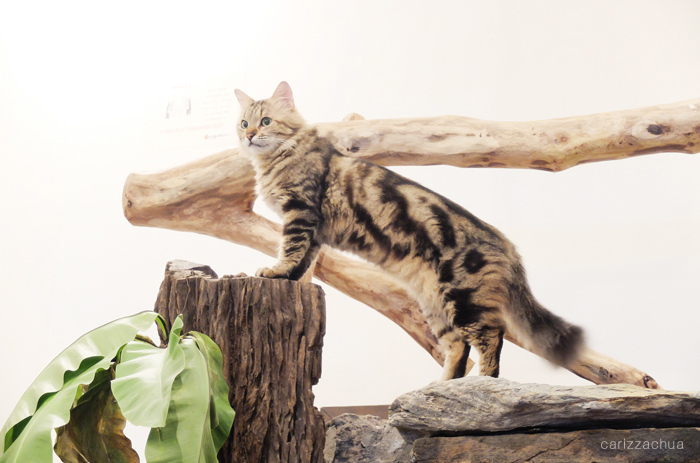 Bengals are not really malambing but some of them will allow you to touch them.